Dia:Beacon and Blue Hill Farms: Two Reasons Why Upstate New York is an Urbanite’s Paradise — MYBELONGING - High Fashion, Menswear Streetstyle Meets Food, Travel and Editorial Experiences. With a surprising twist, in upstate New York. Upstate New York is a place like no other. I am not just saying that because I went to college in perhaps the most picturesque, albeit humid, place I’d imagine. To be completely honest, I had no idea what I got myself into as I naively submitted my intent to enroll at Cornell University. But the life-changing experiences that followed made that impulsive decision a worthwhile one. Those experiences, from witnessing seasonal changes for the first-time to picking apples directly from the orchard and transform them into fritters, have forever altered my life for the better. Orange you glad you’re reading this right now. Outfitted in COS. I never thought it’d take me almost 8 years to revisit this storied place. This time, with one of my favorite brands — COS. That same magic, as expected, persists. We found ourselves lost in the immense gallery of Dia:Beacon and experienced a level of farm-to-table gastronomy never thought possible at Blue Hill Farms at Stone Barn. Consider this a primer into why Upstate NY is more than just a “northern” suburb of Manhattan but rather an extraordinary escape that is only mere hours away. A paradise for urbanites, like you and me. Dancing with a Dan Flavin signature neon piece. Upstate New York is a short commute from New York City. Whether it’s the Catskills, Hudson Valley or even Poughkeepsie, there’s plenty to see and do within a few hours drive away from the city. One can opt to take the train up from Grand Central or Penn Station and take in all that the scenery has to offer. Buses, like the Short Line, can also take you further up to the Finger Lakes region, where it is surrounded by local cities like Ithaca, Rochester and Syracuse! We started our journey from 11 Howard, my Soho homebase, and it took us just under 2 hours to reach our destination. 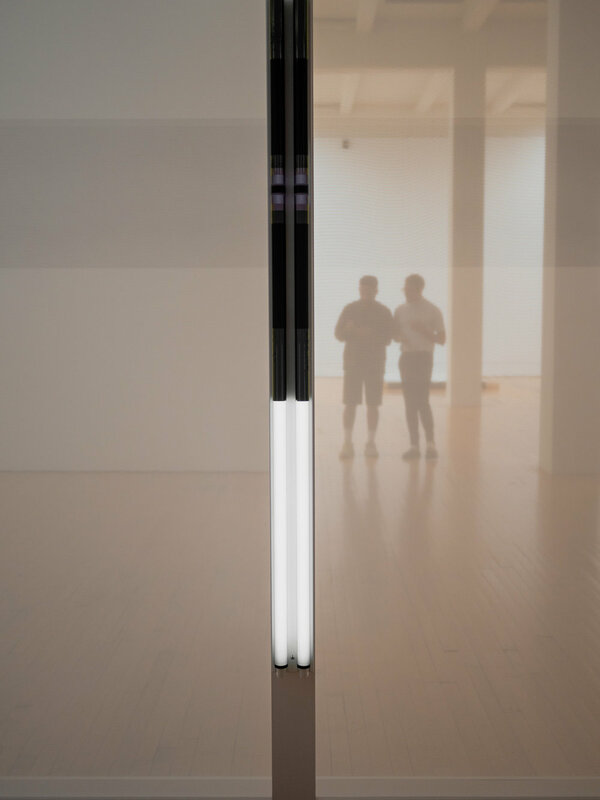 Dia:Beacon and Storm King are not just destinations — they are important cultural institutions. Dia:Beacon, operated by the Dia Art Foundation, is home to some of the most forward-thinking, contemporary and modern art. Originally a warehouse, the sheer enormity of the space really allows each exhibit to project, provoke and amplify. It is famously home to some of the most remarkable artists, which include Dan Flavin, Richard Serra, John Chamberlain and Dorothea Rockburne — just to name a few. The collections here (easily) rival that of the Tates and Mets of the world, due to its approach in curation and the inherent exclusivity of it. The art is so mesmerizing that I didn’t hesitate one moment in capturing and documenting the most significant exhibits for my own memory. If you needed one and only reason to visit Upstate New York, I’d certainly do it for Blue Hill Farm @ Stone Barns. We were so lucky to hosted by the Blue Hill Farm team for an intimate lunch and cocktail hour. It’s easy to get lost in a hazy, eternal gaze over the vast pastures of the restaurant’s bucolic setting. Everywhere your eyes land on is a divine creation of beauty. It’s so distracting that even the beautiful gastronomy that you’re about to experience is difficult to focus on. Perhaps the piece de resistance is the fact that almost everything that David Barber and his culinary team touches is plant-based gold. Their eagle-eyed focus on seasonality is laudable and life-changing to witness in action. I’d never thought I’d taste such fresh beets that are freshly nipped at the bud. An homage to squares by Robert Irwing. 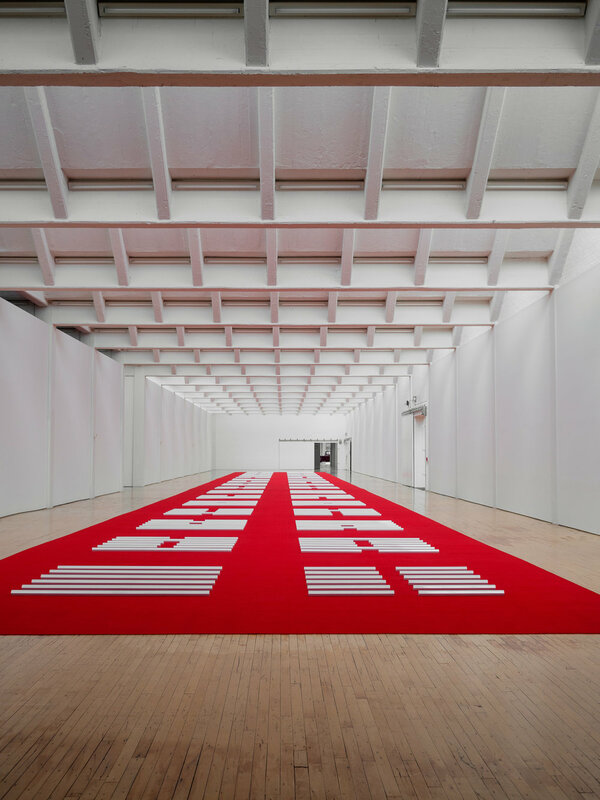 The red carpet experience by Walter De Maria. Shards of glass. 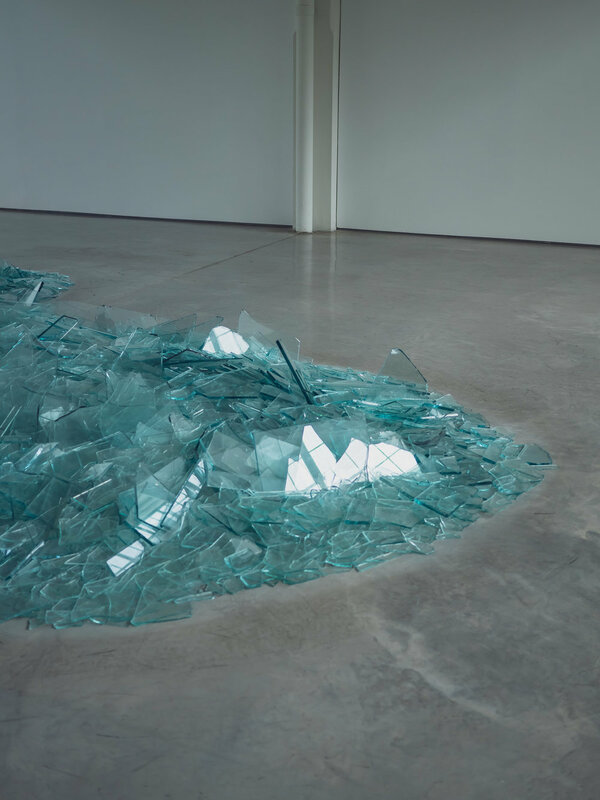 By Robert Smithson. Upstate New York will always inhabit a special place in my heart. It’s where I spent a substantial amount of my formative years. It’s where I weathered my first snowstorm caused by the “lake effect.” It’s where I developed my unique take on layering — a signature style that I never had before prior to living on the East Coast. It’s also home to some of the most innovative, cutting-edge modern art and culinary experiences in the country. I’ve often dreamt about retiring there someday, and as someone who considers himself to be a lifetime urbanite, this could just be the ideal paradise I am looking for. The perfect metropolis meets provencal crossover.